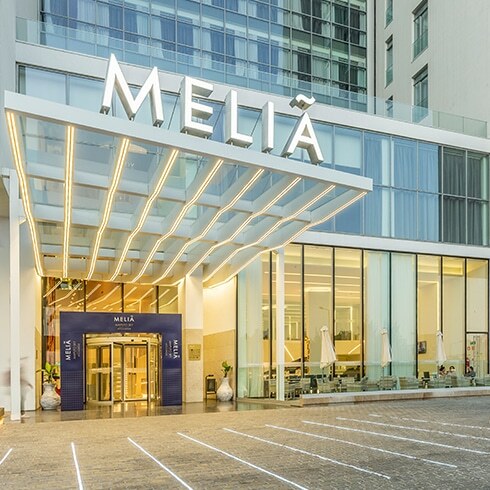 Meliá Maputo Sky has a premium location in the financial and business center of Maputo and represent a perfect combination of design and functionality. 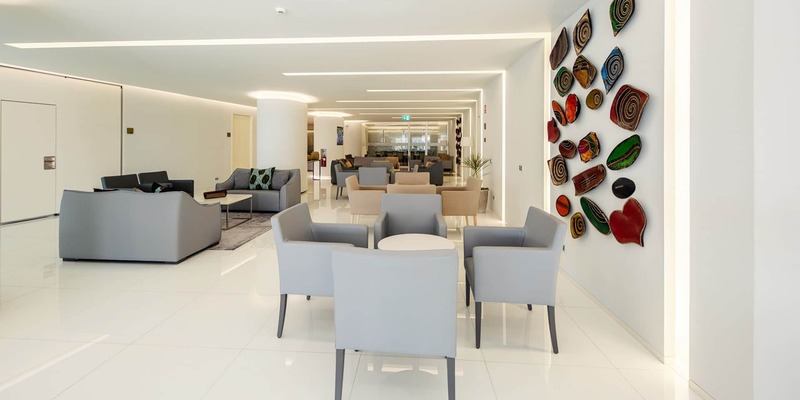 A 20-minute drive from Maputo International Airport, it’s characterized by its cosmopolitan character and experience in hospitality of one of the largest hotel chain in the world. 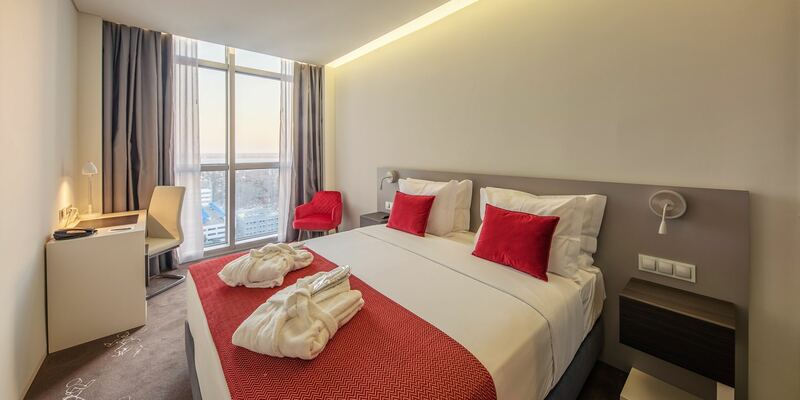 Comprising 172 rooms, it offers an exclusive view over Maputo’s Bay and a wide range of facilities and services in order to respond to the needs and expectations of leisure and business travelers. 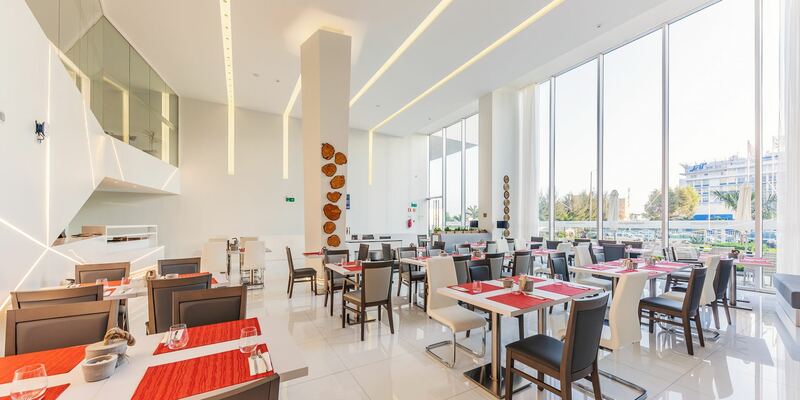 At Meliá Maputo Sky you can enjoy a rich gastronomic experience in the restaurant, which offers delicious dishes of local and international cuisine. In the Sky Bar and lounge area you will find the right atmosphere to relax or to have an informal meeting, while enjoying a lovely view. For events, meetings and conferences, the Hotel also has two meeting rooms and a large auditorium fully equipped. 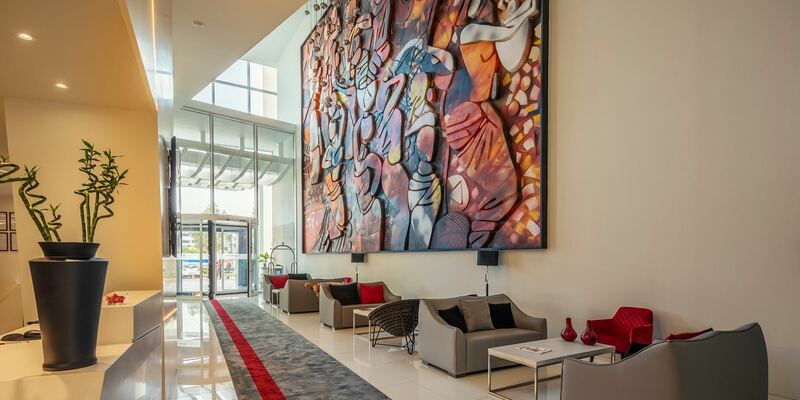 Privileged access to Luxcorpus Health Club & Spa renowned as the icon in Maputo for it's offer of worldwide service standards in the art of wellness and well being. At Luxcorpus you can enjoy a fully equipped gym, group lessons or personal training, two heated swimming pools that create a relaxing water mirror and an exclusive spa treatment menu. 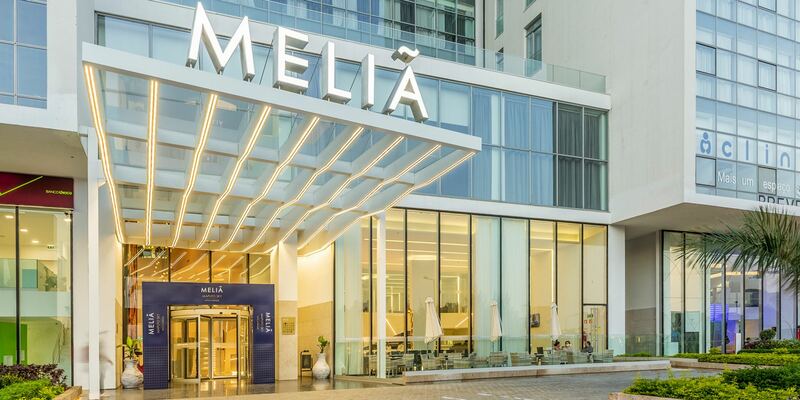 At Meliá Maputo Sky all the rooms are characterized by your minimalist decoration and relaxing atmosphere, in order to respond to our guest’s needs and expectations. Some of our rooms have a privileged view of Maputo's Bay. 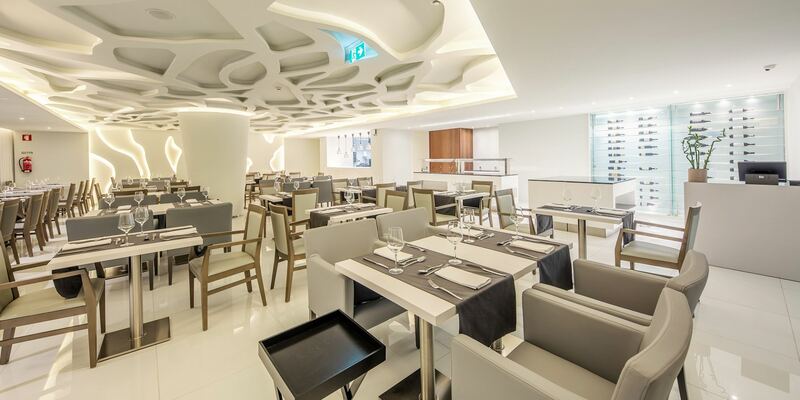 Feel inspired by the modern and contemporary design of our Sky Bar, Bar Mezanino and Restaurant. At Sky Bar you can enjoy our exotic cocktails with a unique view of Maputo's Bay. Continue your gastronomic experience in our restaurant Mercado da Baixa where you can taste a special selection of local and international dishes. 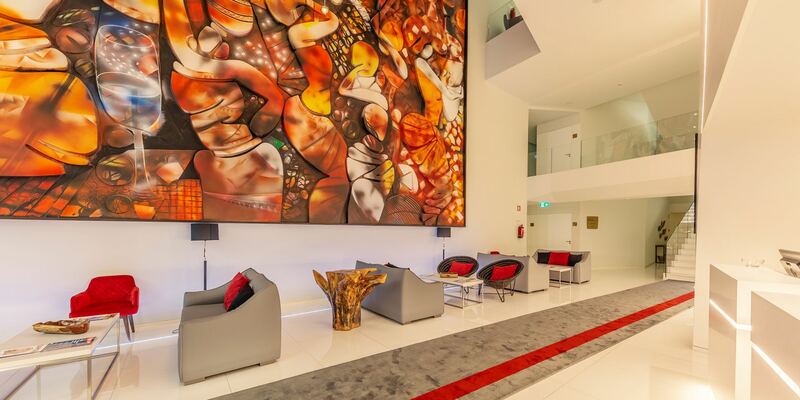 Don’t forget to explore our Bar Mezanino area where you can relax or even having an informal meeting. At the Mercado da Baixa Restaurant on the ground floor, with a avant-garde decoration, you will enjoy a rich gastronomic experience and taste local and international dishes. 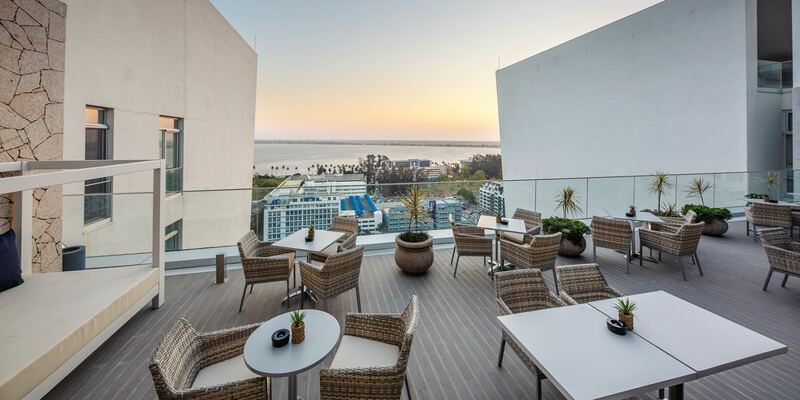 At Sky Bar you can enjoy our exotic cocktails with a unique view of Maputo's Bay. The Coffee Bar and Foyer were designed to create a business and relax atmosphere, offering diverse options to our guests to exceed their expectations.